Disclaimer: My original guest-post was first published on The MacGyver Project on July 1, 2016. I made some minor changes (e.g. grammar or source corrections, additional pictures) before re-posting it on my own blog for safe-keeping. The answer is pretty simple: MacGyver was a successful show, has an interesting and pretty unusual main hero and the potential to tell many more stories. 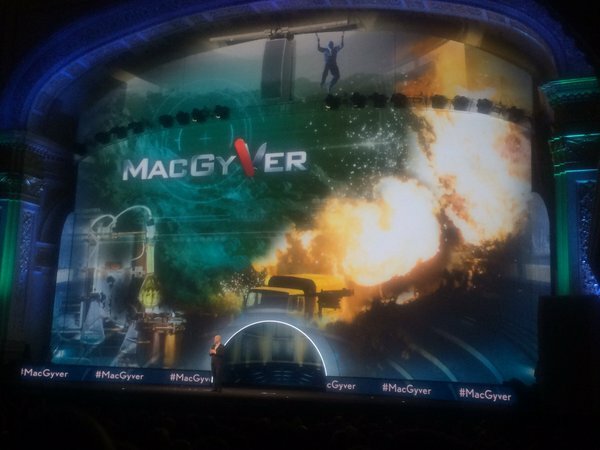 Also: MacGyver is a known “brand” with the potential for a modern franchise. Even people who have never seen a single episode know who MacGyver is and what he can do. The term finally made it into the OxfordDictionary last year and is used all the time on social media. The idea of rebooting MacGyver has been around for a while now. 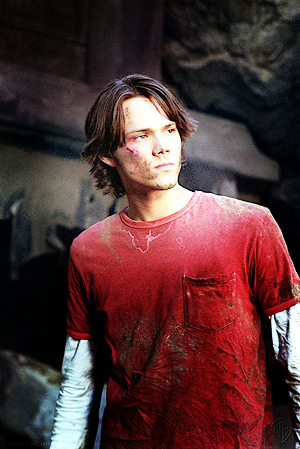 There was a pilot for a spinoff series called “Young MacGyver” (starring Supernatural’s Jared Padalecki), but the show never went into production. In October 2015, the Hollywood Reporter announced that MacGyver would be brought back as a tv show for CBS with R. Scott Gemmill (NCIS: Los Angeles) writing the script and James Wan (who had been attached for a MacGyver movie in 2012) directing the pilot. In February 2016, Deadline reported CBS ordering a pilot. Apparently not happy with the script they already had, the pilot episode would be written by Paul Downs Colaizzo instead. 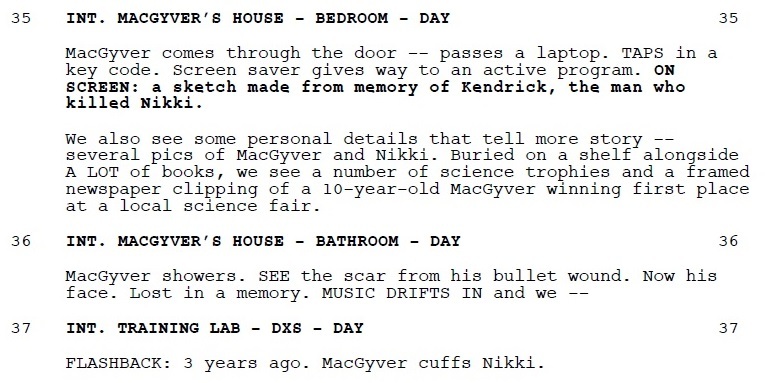 Only a few days later, Lionsgate announced that they had made a development deal with CBS for a MacGyver movie. Many fans were displeased by the idea of a reboot in the first place. 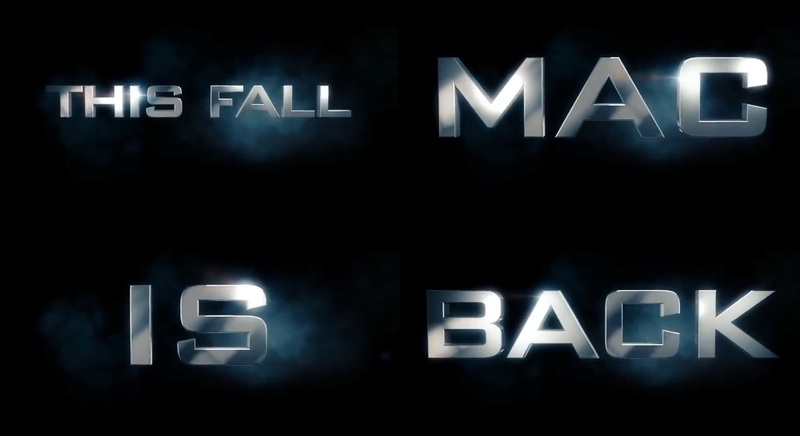 Additionally, the leaked character descriptions by SpoilerTV sparked heated discussions – the article confirmed that the reboot would be a prequel, but MacGyver’s background story didn’t quite fit with the original show. Further details were announced in March by the Hollywood Reporter: George Eads (CSI) would co-star in the show as a character named Lincoln; with David Von Ancken (Code Black) directing the pilot and James Wan (Saw) remaining as executive producer. The pilot was set to start filming by the end of the month in Portland. 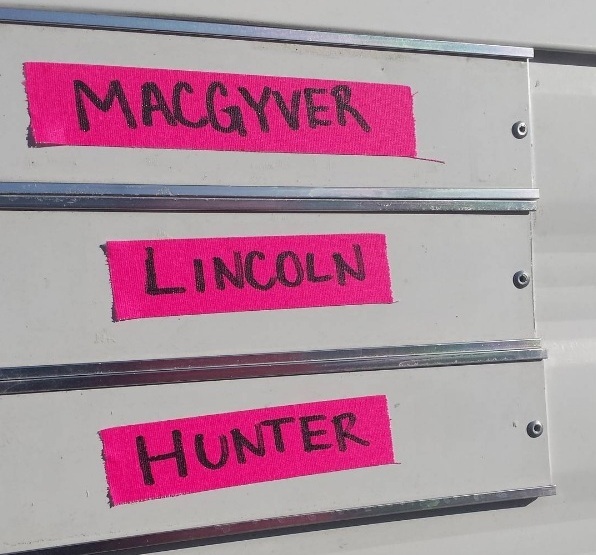 Finally, Deadline reported Lucas Till (X-Men) being cast as the new MacGyver with Brett Mahoney co-writing the script and Joshua Boone playing MacGyver’s best friend. A week later, Deadline revealed Addison Timlin (Californication) and Michelle Krusiec (Hawaii Five-0) as additional cast; the former playing a computer nerd with the latter portraying a secret agent. 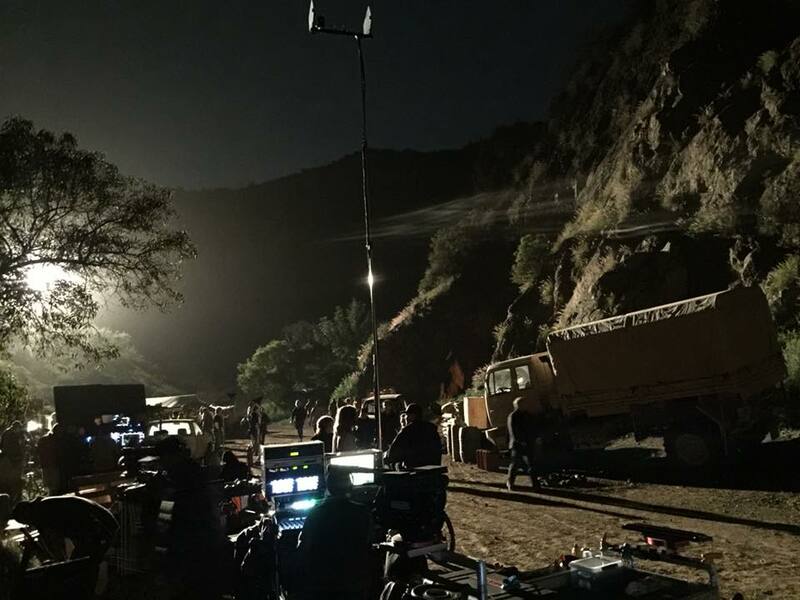 In April, a few pictures, tweets and short videos from the set finally emerged on social media – only to be deleted soon after fans had shared and discussed the “treasure” online. It seemed that CBS tried very hard to keep the production under wraps. Many fans were frustrated; others were left wondering and anxious: What would become of the old show that so many people still loved and cherished? We soon realized that the pilot was being shot in LA instead of Portland, but not a single picture of Lucas Till in character ever surfaced. Of course, this didn’t stop us fans from combing the internet on a quest for more. The less information, the more time we had to speculate in between the findings. 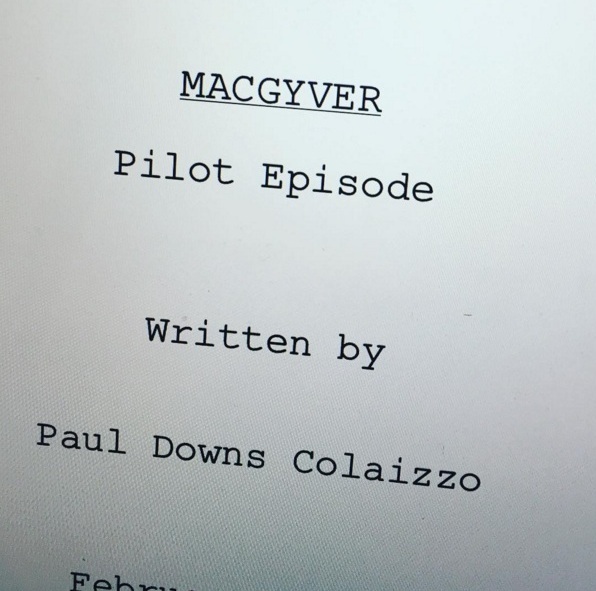 A first glimpse of a new MacGyver logo and a picture of the pilot script title page kept the discussions going on for days. 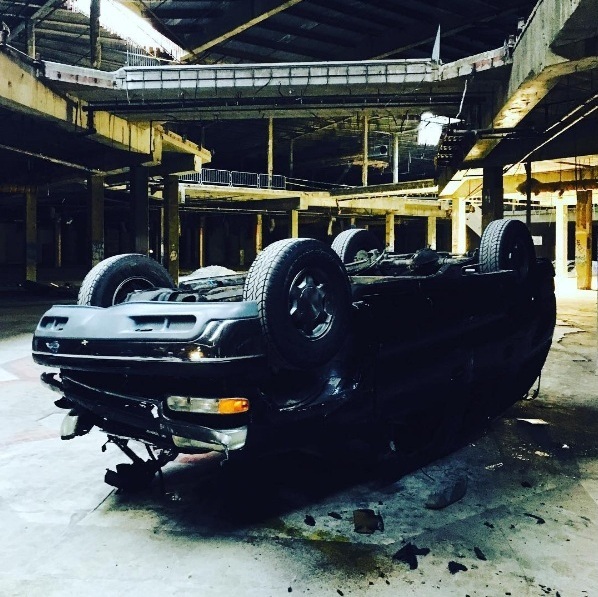 A few set pics made within the abandoned Hawthorne Mall and from an outside night shoot promised some interesting action sequences. The pilot script review by Season Zero on the other hand didn’t read very promising. 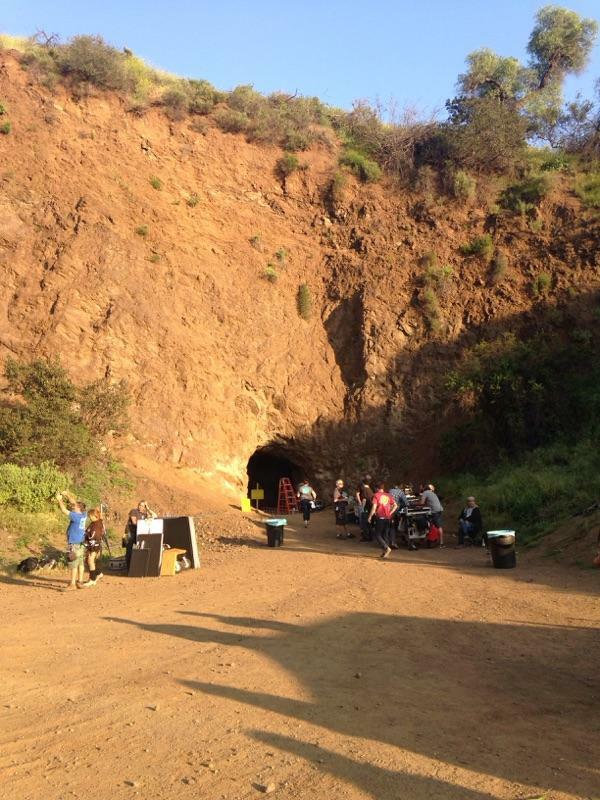 On the 5th of May, David Von Ancken’s assistant tweeted about the pilot being finished. On the 13th of May, an instagram post by Peter Lenkov (Hawaii Five-0) confused the fandom quite a bit. 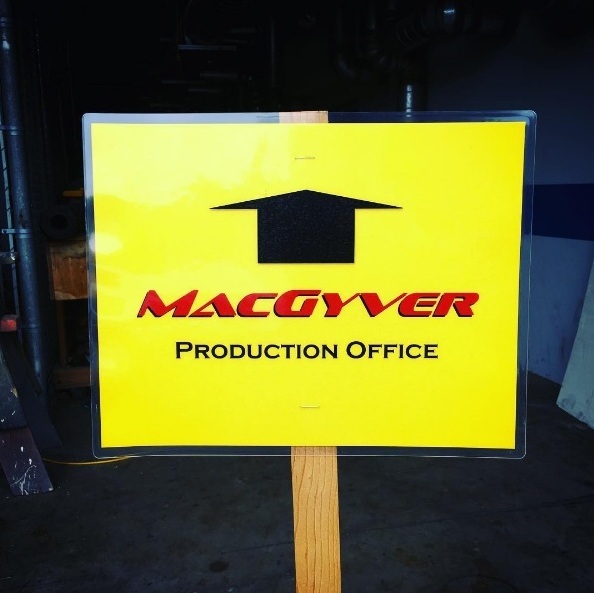 Did this mean that we actually had the chance of getting a new MacGyver show after all these years? Thankfully, only a few hours later Variety reported that the reboot had indeed been picked up with Lenkov being added as an executive producer. James Wan soon welcomed Lenkov on Twitter. The Hollywood Reporter hinted that the script might be tossed out and the secondary cast members were “unlikely to return”, while Deadline stated that Lenkov would write a new script with the general premise of the series remaining the same. Deadline also confirmed that the entire supporting cast was not coming back. Understandably, former cast members were not happy and media outlets and fans similarly confused: Why ordering a pilot without a script in the first place? Why pick up a show if you don’t like the pilot; especially if you don’t know what you will get in the end if you toss out all supporting cast including the script and its script writer? What had they actually liked about the pilot? Did they care for MacGyver at all or only for the promise of some money of a well-known brand? On the other hand, Lucas Till staying as MacGyver could only mean that his take on the character must have made CBS very happy. 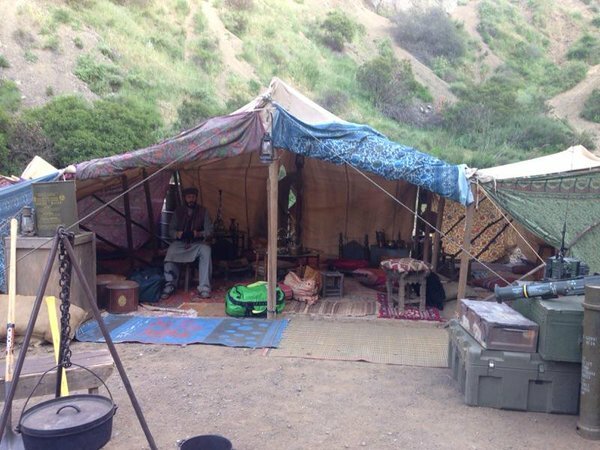 On May 16, we got the first still of Lucas in character. Cue the discussions online: The hair! (Oh no!) The set! (Mac and chemistry, yay!) The hair! (Oh no!). The CBS Upfronts on May 18 had many fans almost jumping up and down from excitement: Would CBS dare to show a trailer if the pilot was maybe/probably/eventually going to be redone? Only hours before, CBS had created official social media accounts with a new logo and a header that hinted at some action-packed adventures. New stills had also been posted on the official CBS page (the pictures were later removed). The trailer soon hit social media accounts all around the world. Let’s just say it wasn’t well received (or the positive reviews got buried under the amount of negative comments and down-votes). Comparisons were drawn to the Ghostbuster reboot (which had also suffered from severe backlash). While some backlash is always to be expected with a reboot, this much hate probably surprised everyone involved. There was hate for Lucas Till (why not a female MacGyver instead? ), his appearance (the hair! too young! he looks like one of the Hanson brothers! ), his attitude (too cocky! that smirk! 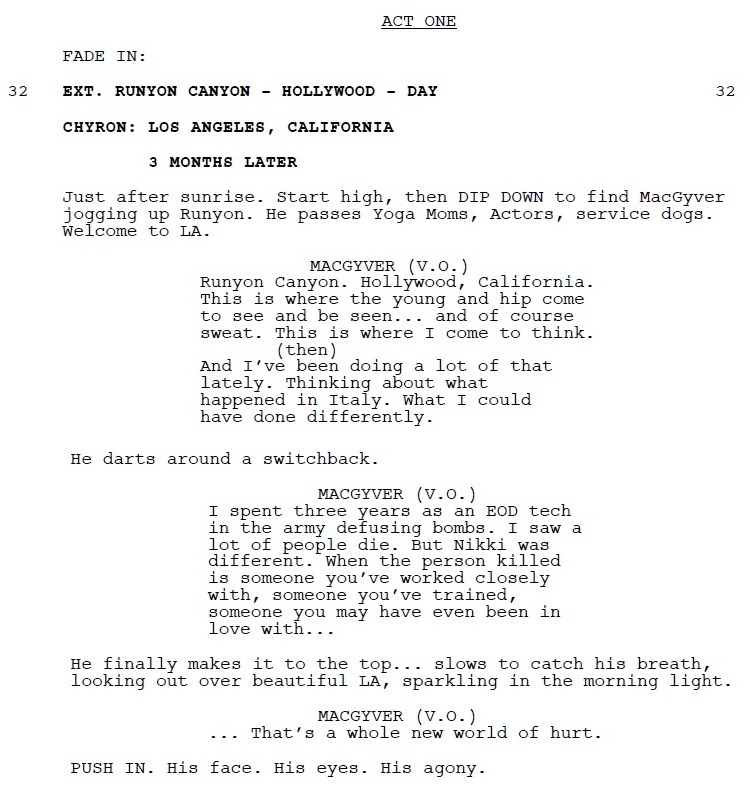 ), the action scenes (MacGyver would never do that! ), the MacGyverisms (not cool enough! 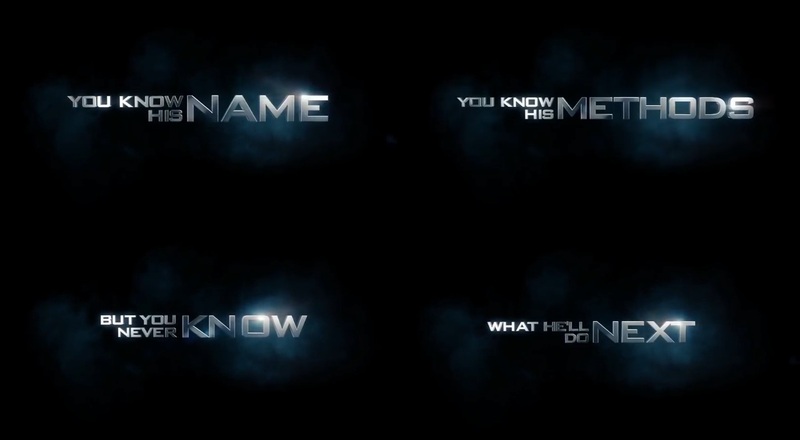 ), the trailer music (Inception BAAAAM! what the hell are those lyrics?) and so on… even media outlets joked that MacGyver himself couldn’t fix this “generic-looking pilot with a kid catching bad guys by tripping them with a garden hose”. According to Deadline, a 20-minute-cut-down of the pilot episode had sparked much interest among international buyers. Nonetheless, CBS declared the trailer soon to “promo non grata” and erased all their former tweets, posts and stills concerning promo for the discarded pilot from their social media accounts. 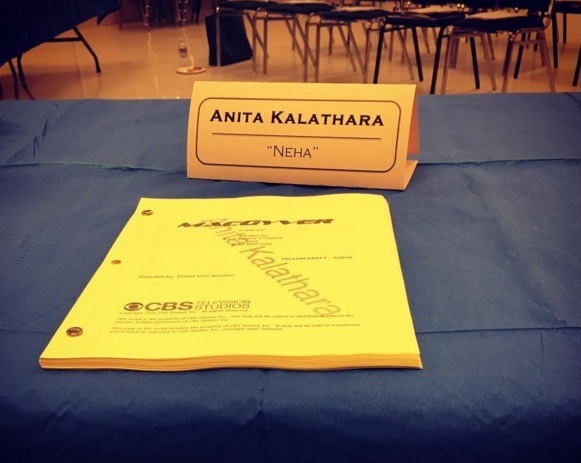 Several articles hinted what further changes might be made – for one, MacGyver would get a haircut and a “love interest that spans the season”. 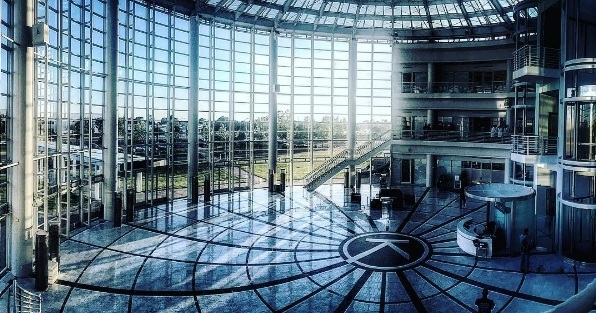 Peter Lenkov talked about his vision for the reboot in a video interview stating that they would rely on the original and the fans wouldn’t be disappointed. 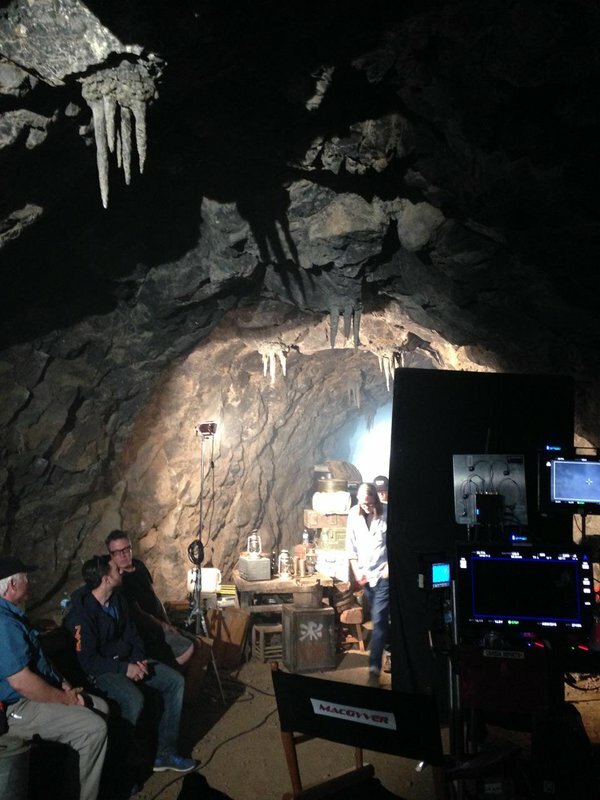 He also talked about his idea for the big bad for the first season. Entertainment Weekly revealed the CBS fall 2016 schedule: MacGyver would air on Fridays at 20pm. 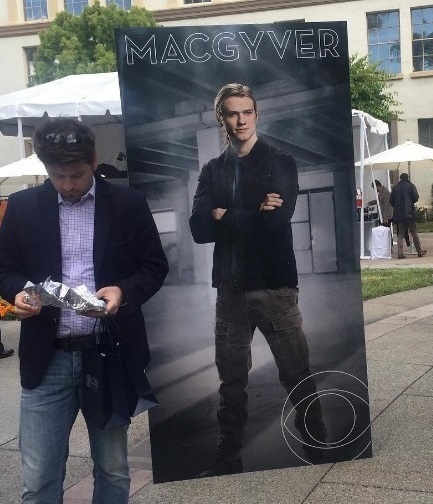 CBS set up a MacGyver Writers Twitter account with Lenkov promising live tweeting during the show. In June, Deadline announced Justin Hires (Rush Hour) as the first new cast member in the role of Wilt Bozer. Secretly, CBS updated the synopsis of the show: George Eads would now play the character of Jack Dalton. Variety confirmed a fan’s suspicion (due to an instagram picture by Lenkov that was later deleted) that James Wan would direct the pilot episode. 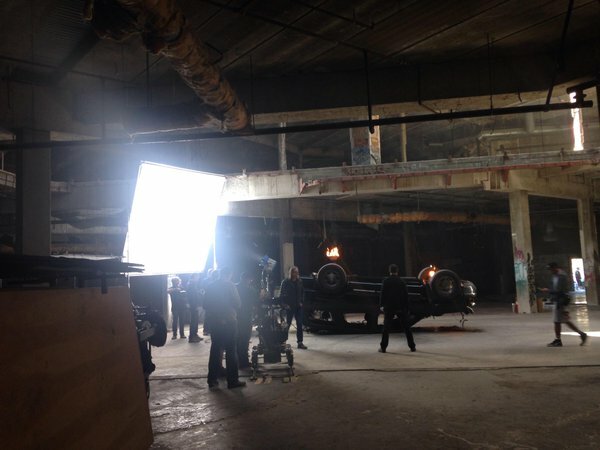 Lenkov also posted a few pictures of the first location scouting in Atlanta and a look at the production office. 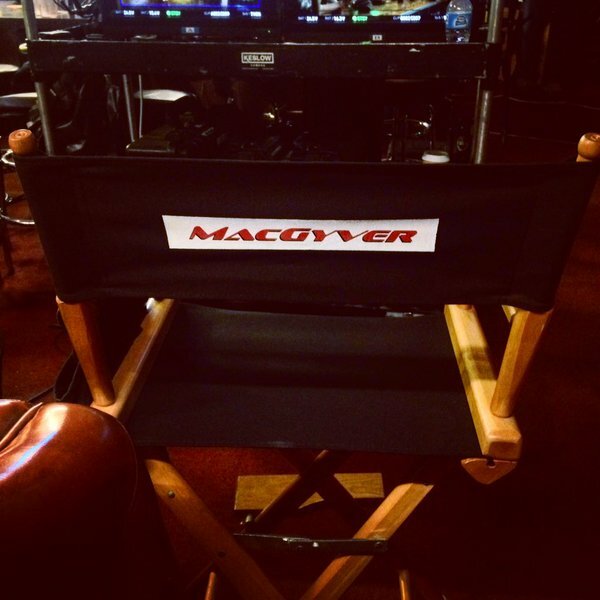 The premiere date was set for September 23 and finally, there was the first official promo video with Lucas Till as the new MacGyver. Casting calls for crew members confirmed soon that the production was moving from LA to Atlanta . 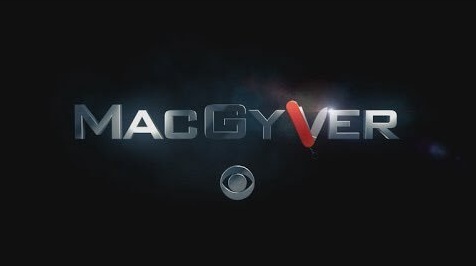 A reimagining of the classic series, [MacGyver] is an action-adventure drama about 20-something Angus “Mac” MacGyver (Lucas Till) who creates a clandestine organization within the U.S. government where he uses his extraordinary talent for unconventional problem solving and vast scientific knowledge to save lives. Joining his team on high-risk missions around the globe is maverick former CIA agent Jack Dalton (George Eads). Under the aegis of the Department of External Services, MacGyver takes on the responsibility of saving the world, armed to the teeth with resourcefulness and little more than bubble gum and a paper Clip. 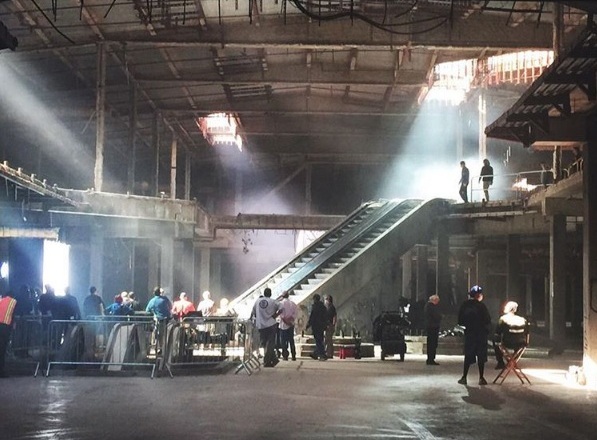 The pilot episode is called “The Rising” which is vague enough so Peter Lenkov can tease us further and fans can discuss about who or what will be rising (or not). Colossal Trailer Music recently announced that they would lend their music for the upcoming campaign. In general, I’m not a fan of reboots or remakes and I don’t like many of the modern tv shows and movies. In my opinion, they rely too much on CGI. As a girl of the 80s, MacGyver was my favorite tv show. Before I started my first rewatch of the original version (instead of the German dubbed version I had watched as a kid) I thought I had gotten over it after all these years, but boy was I wrong! It’s still one of my favorites, so when the reboot was announced, I was not happy. When I realized the reboot would be a prequel and RDA wouldn’t be a part of it, I got downright sour. On the first viewing, I kinda liked the trailer shown at the CBS Upfronts. But the more I thought about it, the more I started to dislike it. To me, the trailer looks like every other modern fast-paced action show and I wasn’t very happy with the character background stories to begin with. On the other hand, it’s not very easy to judge a pilot of 42 minutes by watching a trailer that’s not even 2 minutes long. I feel that Lucas is a nice guy and could pull it off. I liked George Eads as Nick Stokes in CSI, but I’m not sure if it’s a good idea to turn him into Jack Dalton – especially into a Jack Dalton being a former CIA Agent who’s 20 years older than MacGyver. Alas, I’ve never seen him outside of the show that made him famous. 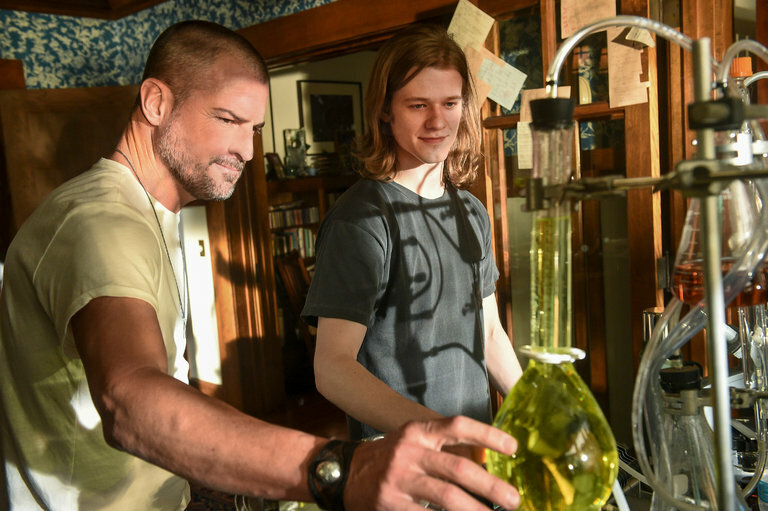 I’ve also never seen any movie or show with Lucas Till or Justin Hires in it, but I’m not convinced MacGyver really needs an ambitious roommate named Wilt Bozer. For now, Justin seems to fill the usual role for some comedic relief when needed. At the moment, I can’t deny that I’m actually getting excited for this reboot. While I don’t think it will be better than the original, it might succeed in creating a new generation of MacGyver fans who will one day check out the original version. 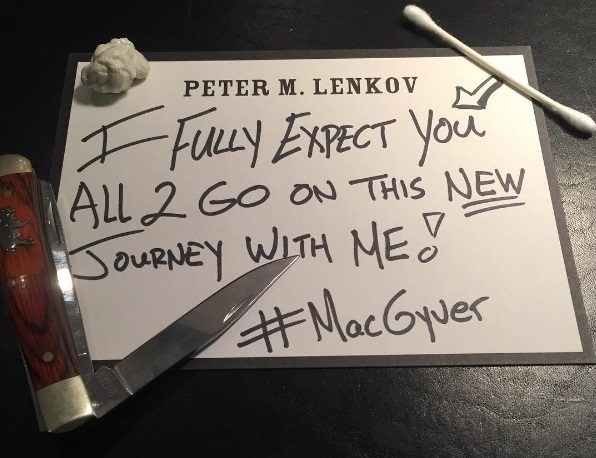 The MacGyver Hashtag is getting quite a buzz on social media lately, and who am I to complain if the reboot converts people all around the world into MacGyver fans and talking about it online? And let’s face it: If I was still in my twenties, I probably wouldn’t mind the casting of a young-looking actor like Lucas Till… I sure didn’t mind staring dreamily at RDA when I was a teenager (to be honest, I still don’t). I do think a sequel would have been a better option, though. 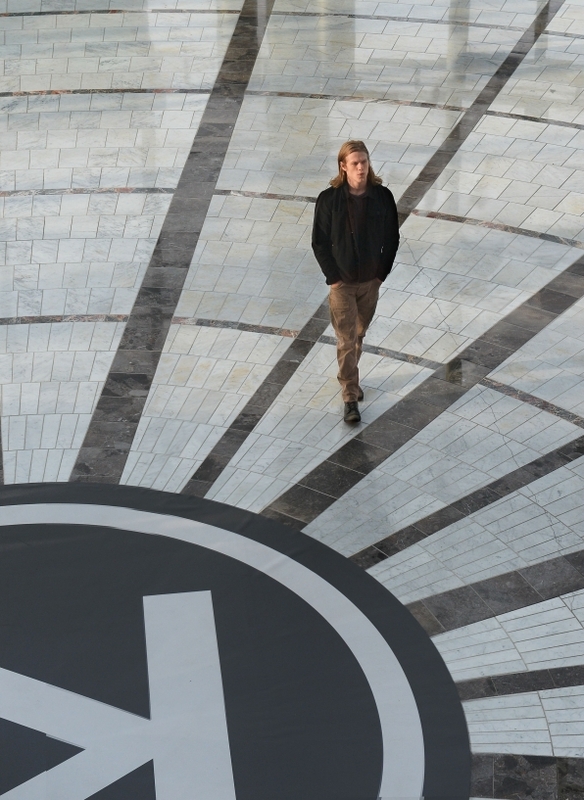 In the finale episode, MacGyver’s son of about 20 years is revealed. Because the series ended almost 25 years ago, he would be around 45 years today. Why not make S.A.M. having a son or even better: a daughter? This would have quenched the public thirst for a female MacGyver and also would have opened the doors for several cast members of the original show coming back for cameos as their original character. And who doesn’t want to see RDA aka MacGyver as a grandparent, teaching his grandkid some great MacGyverisms to get out of trouble? For now, I’ll wait until the pilot episode before I continue criticizing too much. It would be nice to see opening gambits, but there were legible reasons why they stopped doing them in the original show. I’m still hoping for a character named Pete Thornton, Penny Parker or Murdoc, and also for a nod to the old opening credits and the theme song. RDA stated several times that he’s not convinced about a modern version; joking about MacGyver just using his smartphone to get out of trouble by googling how-to-videos online. But I’m still hoping RDA pops up in a guest role. Even if he’s just playing a grumpy old guy selling fishing gear in a shop the next door.